It was noted, however, by Williams among others, that there was an imbalance in the way the courts were distributed. Williams added, “I think if players have to play outside, all players should have to play outside. There shouldn’t be any exceptions or any inequality to it.” Meaning: court assignments were skewed towards the male players. On the same day that marked the beginning of the Wimbledon Open Championships, Ironman announced that it would be providing 200 extra slots for women at the 2017 Ironman 70.3 World Championships in Chattanooga, slots that will be allocated according to the amateur world ranking system (AGR). In 2015, approximately 850 amateur women were invited to compete at the Ironman 70.3 World Championships. By comparison, upwards of 1800 men were invited. In Chattanooga in 2017, the 70.3 Championships will take place over two days, women on Saturday and men on Sunday. Barring any unknown logistical complication on Saturday that does not exist Sunday, I fail to see why the same number of amateur men and women would not be invited to race: 850 + 200 = 1050, still only slightly more than half the number of men. Translation: We will add 200 slots, but will not offer the same numbers as the men because the women are not good enough. The depth of field argument has been used by the WTC for years now to quell athletes and supporters who have asked for equal opportunity for women. To their credit, the WTC is offering equal slots to the professional women for the first time in Chattanooga though on a trial basis. It’s still unclear what the professional women need to do to pass that trial, but, like so many things with the WTC, the changing rules are often shrouded by smoke screens and partial-information. One such “smoke screen” may be the Women for Tri Board, a board of volunteer women that are doing wonderful work to encourage more women into the sport but who are also expected to cheer at the suggestion that adding 200 slots to a championship race in which equal opportunity is a logistical possibility is somehow a win for womankind. 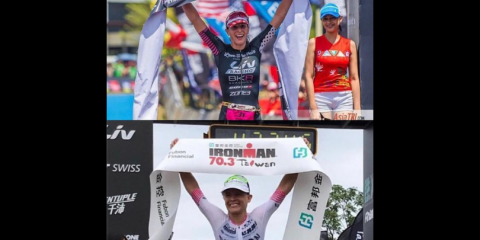 Full, equal opportunity at all Ironman races would be a win for womankind, or at least, a structured and transparent plan to get there would be acceptable. I have yet to come across a sport that decides how many women athletes get to participate by this same principle of proportionality. One of the ways that the Women in Sport Commission promotes equal participation of women and girls is to lead by example by ensuring that elite athletes have equal opportunities to participate in the Olympic Games regardless of gender. This has been a slow process over many years that is still not complete, but each Olympic cycle sees an improvement. In the 2012 Games, every participating country had a least one woman competing, an amazing accomplishment when you consider that in 1996, twenty six countries did not send a woman. In 2012, 45% of participants were women. The assumption that equal opportunity means equal representation is grounded in an ethical standpoint that is upheld by the Olympic movement. In fact, in every IOC document, gender equality review and ethics in sport textbook that I have ever read, I have never come across an argument that equal opportunity should be offered proportionally to the number of women participating in the sport as a whole; as the World Triathlon Corporation (WTC) does at their World Championships. Further, I have yet to come across a sport that decides how many professional women athletes get to participate by this same principle of proportionality. I wish I could be that confident.